When watching the drama facing thousands in the "Região Serrana" in Rio de Janeiro, the fight community is mobilizing and joining in with their solidarity and strength. 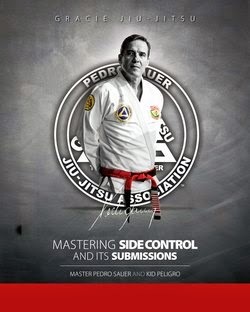 Next Wednesday, January 19th at 8:30 PM at the Escola de Educação Física do Exército, in Urca, three fighting icons are performing a unique seminar. Rickson Gracie, hte great Jiu-Jitsu champion, his brother Royler Gracie will join Olympic medalist Flavio Canto for a seminar to help the victims of the tragedy and the newly homeless from Região Serrana do Estado do Rio de Janeiro.
" The idea is to have much more than a technical seminar. Our objective is to mobilize the martial arts community, fraternize and have the opportunity to see old friends so we can join and help the thousands that are suffering from this tragedy that ravaged the cities of Teresópolis, Petrópolis and Nova Friburgo. 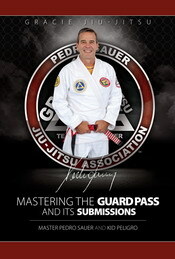 ", stated Royler. "The "fee" for the seminar is a minimum of 5KG of non-perishable food per person. Our challenge and expectation is to collect over a ton of food." 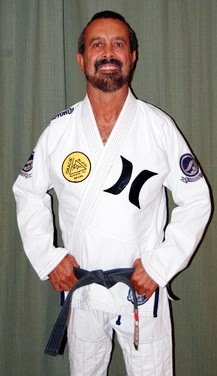 added Judoca Flávio Canto. "It is extremely important for all practitioners, independent of the martial art they represent, or which academy they go, to appear and make the sport of fighting the tool to help society" completed Rickson. Diante do drama vivido por milhares de pessoas na Região Serrana do Rio de Janeiro, a comunidade da luta pretende dar uma demonstração de força e solidariedade. Na próxima quarta-feira, dia 19 de Janeiro, às 20:30 na Escola de Educação Física do Exército, na Urca, três ícones da luta se unirão para um seminário único. O grande campeão de Jiu-Jitsu Rickson Gracie, seu irmão e tetra-campeão mundial de Jiu-Jitsu Royler Gracie, se encontram com o medalhista olímpico de Judô Flávio Canto para um seminário em favor dos desabrigados na Região Serrana do Estado do Rio de Janeiro. A Escola de Educação Física do Exército fica na Avenida João Luiz Alves, S/No - Urca. Torrential downpours have wreaked havoc to Nova Friburgo, Brazil, and a pair of influential MMA training camps are turning to the fight community to ask for assistance in battling deadly mudslides. With hundreds already dead in the Rio de Janeiro municipality, and countless more currently missing, Florida-based camps Team Armory and American Top Team have set up a charity fund at CombatAthleteCharities.com and are asking for donations to assist in the relief efforts. MMAjunkie.com spoke with longtime MMA manager Alex Davis, a native of Nova Friburgo who is on the ground in Brazil assisting with the efforts, and he described the devastation first-hand. "Dear friends – MMA friends and everybody – I'm talking to you guys from Nova Friburgo in Rio de Janeiro, Brazil," Davis said. "It's my hometown. I can't even begin to explain to you what's happened here. There are entire regions that have been wiped out. Thousands of people are without water and food. Hundreds of people, if not thousands, are buried under mudslides so deep that they will never be found. Whole families have been wiped out. It's to the point that there may be no one left to even remind us that these people were once there. "Alex is on the ground in Nova Friburgo. All the money will go directly to the city for some of the most desperately needed items, including food, medicine and shelter."